How To Stop Cats From Spraying? We know that dogs’ noses are powerful enough for them to become professional bomb and contraband sniffers, but do you know that a cat’s nose can rival a dog’s with its 200 million scent receptors? Cats’ sense of smell is powerful enough that not only does it help them find their way home when they get lost, it also helps them identify their territory and establish their security. Your kitty is a highly territorial wonder that it has to frequently establish its territory in many ways like rubbing and spraying. Spraying, or urine marking, is a trait shared with all feline species. Unlike urinating which it does on horizontal areas, spraying is when your kitty backs up to a vertical surface like your wall, your bedpost, and your sofa. Your kitty just stands there, tail all erect, and then suddenly, with eyes closed, squirts a concentrated form of its urine – before walking off, all smug and nonchalant as if nothing happened. All while you, the cat parent, are inwardly grimacing on a near future accumulation of pungent odor around the house and another bout of cleaning and deodorizing to do. So how do you stop your feisty feline from spraying? If you have more than one cat at home, you may need to identify first the perpetrator. Nannies and security cameras are handy for catching the kitty perp in the act. 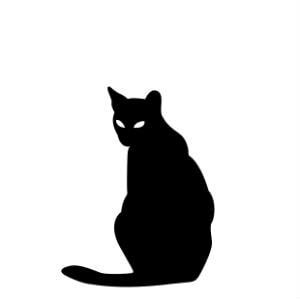 Another way to detect the guilty party is to add food-safe sodium fluorescein dye in your kitty’s food bowl – one cat at a time. A kitty’s pee and spray have high phosphorus content which will make them glow a bright yellow-green in ultraviolet light, but putting food dye will make them apple green. You finally face your kitty perp, but you cannot play good cop-bad cop with it since it will only cause the feline more stress. Anxiety is a major cause of most spraying; the other two being the underlying medical condition and for un-neutered males, the territorial marking. If your puss is an un-neutered male you may want to have it neutered first. This is the first step to reducing the frequency of spraying. If your puss is spayed or neutered already, the second thing you need to make sure of is that it has no possible medical problem. If you see some of these signs, you will have to go to the vet right away. Prolonging this may be dangerous to your poor cat. Stress and anxiety are major factors if your kitty is already sterilized and has no underlying illnesses. First, try to recall possible changes at home which could be the probable cause for your kitty’s worries. Has there been a new cat? Is there a new baby? Are there any new objects? Have you been out of town and left your cat to a neighbor? oo many cats in the house or one cat bullying another – Cats are highly territorial fellas so a new cat, a newly-returned feline (i.e. one that just got back from the hospital or from a long trip), or even one newly-oriented cat can be a cause of stress for the other. Another instance would be if one cat would start bullying another. If such instances happen, a good way to reestablish order would be to gradually reintroduce the newcomer or the newly-returned kitty to the rest through smell. This also works for feuding felines – separate them for a while, then reintroduce. Assign these kitties different feeding and water bowls as well as sleeping areas with ample distance from each other. Add one more litter box for each kitty and place these at various areas throughout the house. Adding more hiding spaces, toys, scratching posts, and vertical areas will also help. While those portals for your kitty’s eyes are still close, put cat deterrents like citrus sprays on areas where those neighbor cats lounge (make sure that the area is part of your house or not part of your neighbor’s property). Once the area becomes a “no cats land” you may reopen your doors, windows, blinds, and curtains. When you have been away for long – When you get back from an out-of-town trip away from your cat and you happen to ask your neighbor or a friend to do the feeding, you might notice your home to get slightly more pungent than usual – especially in places where you usually hang out. Have no fear – this is just your kitty being territorial. In a way, your feline friend seems to say that it misses you. And by marking those areas where your scent is also the strongest, it is trying to make itself feel more secure. Another possible reason your kitty is marking the house while you are away is that the way “that other hooman” is handling things is not how it likes it to be done. Cats, in some way, are fussy on how things should be done – an improperly cleaned bowl or an excessively cleaned area in your house could be a cause for your cat to get anxious. Your return, however, should gradually return your feline friend to its more relaxed state. You can help reduce the anxiety by spending more time with your pet especially in those areas where it had sprayed. Family members – cats view humans as strange big, furless cats. If one member of your family interacts less than intended, your cat may become anxious and target that person’s belongings. This is the same for newcomers in the house, like a baby or a relative who just came. Have your cat spend more time interacting and familiarizing itself with the smell of the family member. New Spot – your cats may find a “new” area in your house which they think needs more of its presence. Sometimes this area may be filled with your scent but not theirs, so they end up leaving a mark. Rubbing a post would have been okay, but what if they spray? If this happens, you will have to spend time with them interacting in that area – maybe play, train, or do treasure hunts with them just so the space is also filled with their scent. New Object – new objects like a new pillow, a pair of shoes, an appliance, and even a child’s toy can be targeted by your cat for the next spray. To avoid this, place these objects out of your kitty’s reach. You can even put them in rooms that are locked and inaccessible to your kitty. Have these objects accumulate your presence first before gradually introducing them to your feline friend. While dealing with your anxious kitty, you will still have to deal with the cleaning process of the sprayed area. Use cat-friendly cleaning materials instead of chemical cleaners – alcohol and ammonia-based cleaners, for example, might cause allergic reactions to your cats. Use natural and organic cleaning solutions. Or better yet, use enzymatic cleaners such as Nature’s Miracle, Rocco & Roxy, and Dr. Elsey’s. You may also use soothing synthetic pheromones that will help relax your anxious kitty.